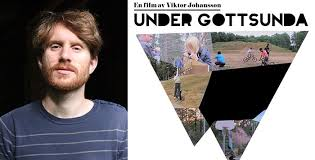 We reviewed Viktor’s film ‘Under Gottsunda’ a couple of weeks ago and were enamoured with what we saw. It made sense to catch up with the man and probe him with a few questions. ‘Under Gottsunda’ shows us an unseen side of Sweden. How important was it to choose the the right location when shooting this film? At the time I would bike to nearby Gottsunda everyday to leave my daughter in kindergarten. Once we rode past a burned-out car and my daughter asked, well, if it had crashed. We took a peek inside and there were burned books in the wreck, trying to see what they said. Too see what lies beneath, too actually read the burned book. Then I saw a petrol can in there. Wow, it struck me. Maybe because I had my own child on the bike, I was blown away, in the heart. The thought of this child who walked around with gasoline container, poured the gasoline and fumbled with his lighter. The gasoline child. It was my child. And the news and police only reported about the boo-hoo poor little cars that were destroyed, a wave of car fires every summer. But I wanted to write about the children. I saw an iceberg under each burned-out car, and then wrote my novel The dark sport. At the same time I was teaching creative writing at the Gottsunda Stories workshop. ‘Under Gottsunda’ began to take form. Not just taking place in Gottsunda, as a location, but out of Gottsunda itself. Straight outta Gottsunda. The Sociologist within me has always been interested in youth subcultures. I remember being fascinated by the ins and outs, the fashion, the mores, within gang culture particularly mods, rockers and punks. ‘Under Gottsunda’ features a few different youth subcultures. What interesting things did you discover about youth subcultures when researching for this film? I grew up in the countryside of Sweden, in a village built around a frozen meal factory, one day it smelled of pirogis and one day it smelled of cabbage rolls. All things urban interested me, all the trendy subcultures and styles trickled down to us years later. Like in Gummo where the rural tennis boy has a NKOTB haircut and is the coolest thing in Xenia, Ohio. I discovered that when you’re unseen by the big society, you might as well be hidden and do all kinds of mysterious things. These Gottsundaites take create their own little society with rituals and legends. I wrote in my review of ‘Under Gottsunda’ how the film took me back to my own youth. How do the characters’ lives compare to your own experiences as a teenager? The mission with ‘Under Gottsunda’ was understanding the misunderstood youth. Housing project youngsters are basicly seen as foreigners bringing violence to safe Sweden. But I brought some uprising to my safe upbringing. Violence aimed against society, as in Gottsunda. In Källby I was doing street art as a teenage protest, against a colorless world maybe, once we tried to do a too ambitious stencil and was arrested. There was a big graffiti smash down, against our subculture. Now I do not mean that everyone in Gottsunda ride police car. But I can understand the feeling that the police is working for the other side. I hung out with the autonomous left movement and I marched along in anarchist demonstrations, so that’s been my input and understanding of uprising. When you feel that you cannot influence, then you take desperate measures. I did that. Burning a car in Gottsunda has to be seen as a message, it’s a symbolic image, not just a criminal act. In Källby I had my graffiti, in Gottsunda there’s not much graffiti. But I think young people are still trying to send a message to society. Everywhere. I understand Gottsunda with the anti-capitalist ideas of my youth. I tried to channel my radical teenage self. Maybe it doesn’t sound like it, but this is my personal approach. If all society does for a housing project is put up a huge shopping center, in an area that cannot afford to lifestyle shop, then you create failed consumers (The Sociologist within me is Zygmut Bauman). I also did systemized shoplifting when moving to my own apartment, let me add here in the middle where my parents won’t read. Then have these outsiders gaze into storefronts, where a perfect life is on display, light-skinned mannequins with whole families and nice clothes. But the locals do not have access, to this life. The failed uprising consumers. In Los Angeles and London we see looting and raiding as part of uprising and rebellion. You have to smash the storefront window to get on the same level as others, to take part of the high standards, shop till you fit in. This is the alienation that the market creates. In Gottsunda, and other places. The streotypical idea of Sweden is a nation of blonde blue eyed beautiful people. It’s almost as ridiculous as the outside view of England as a nation of tea drinkers and crumpet eaters who all talk like Dickensian characters. ‘Under Gottsunda’ features characters who are either the children of migrants; or of foreign nationals, like the Macedonian father in your film who has chosen to live in Sweden in search of a better life. Do you think Sweden’s immigrant population is under represented in film and television? The prejudices of the suburb will even get internalized by those who live there. Media uses them only for reporting about car fires and honor crimes. When I was street casting, the kids explained that they weren’t involved in the arsons. Every kid I met felt that they had to defend themselves against that image. Arsonists, this was secondary school children. It really hit me, I realized that the media image must have gotten jammed in their heads. Walking around with the burning cars in their psyche. ‘Under Gottsunda’ looked like it was a film that required quite a bit of editing. It appears like you shot the actors for long periods of time, and just let them be. Is there any footage which you regret not using in the film? Yeah, editing took like six months, I worked out of a writing scholarship. I’m more established as an author than as a filmmaker. I shot bits and pieces first, in the beginning it was more documentary style, capturing the true essence of hanging around, wasting your youth I was about to say, but that’s what youth is for, floating around in this limbo, to invent and form your identity you have to be set on part self-destruct, part self-create. I tried not to interfere and just capture this. Then as the summer was coming to an end I realized I needed some dramatic development, and I wrote these heightened continuations to their lives, making their subcultures into extreme sports with rules and manifestos. Some of the stories were written by the kids themselves, for example the longboarder who’s force-fed his mother’s karma. That’s Sergej’s own novella that he wrote on the Gottsunda Stories workshop. His entire narration is freestyled, it’s comes from his own inner world, just not his biographical circumstances. Speaking about the editing, I wanted an organic approach, mushrooms popping up, to not trim the shrubbery. I mean everything in this movie can be weeded out. So that vulnerability sets the dogma. Get it cluttered instead. Let it get tangled. Sprawling maybe. The suburb is a sprawling movement away from the center. In my first poetry collection “Capsules” I wrote a poem from the movie ‘Gummo’, it was sort of a statement of my world, the beauty of the debris blowing in the wind. This debris, the mistakes, the human errors that we are, is what I am looking for. ‘Under Gottsunda’ is intended as a shattered mirror that I pieced together in the editing, to skew facets, a strange cut diamond. There is a new film by Tim Sutton called ‘Memphis’, everyone seems to write that it is entirely composed out of scenes that wouldn’t fit in a strong narrative film, stuff that won’t fit any structure. But it is these scenes, riding your BMX in twilight puddles, humming some song that will be gone forever in the next moment, that I’m looking for. That is life. That makes an awesome movie. And to answer you on cut scenes, there’s a cut character that I didn’t get to shoot. But he can be hinted in the beginning when the boys scream down the well. I had an idea for a burnt child, a kid who who played with fire but got burnt so badly that he didn’t dare to go home. Everyone would know that he was an arsonist, a burner of cars. So the kid grew up hidden in the sewer system, under Gottsunda. It is one of those myths that was created for the overall film mythology, and which is hinted in the final film. I was confused a little by the characters who practiced a Martial Arts system which reminded me of a cross between Krav Maga and Wing Chun, what do these characters represent? Yes, Krav Maga as well as Systema is a military martial art, so it’s based on realistic combat situations. The martial art of kitchen sink realism. But these kids take it to a spin off level, with dancing and singing about twinkling stars, the dancing comes from the russian Cossacks they say. At times it seems out of control. Talking about what it represents, systema can be seen as a manifest for the film, realism that spins out of control and becomes extreme, a hightened subculture, that’s what I’m missing in social realist cinema, in Ken Loach and Ulrich Seidl, a world of it’s own within the kitchen sink. What goes down the drain, in the kitchen sink, and mutates in the sewers. Like the Turtles or sewer alligators. I try to take something real and mundane, and picture the extreme version, what if hanging around the parking lot was an extreme sport, what would that look like. Dancing in parking lot puddles. Screeming down the sewers. It’s fun with Ninja Turtles how all our culture from above ground are dumped into sewers and becomes subculture. In the new Turtles movie (which isn’t called something cool like The Secret of the Ooze), they have put up a wall in the sewer using old silver cassette players as bricks. Also about Systema, in ‘Under Gottsunda’ everyone’s talking about the system, I noticed. “Sometimes I feel like the society’s inside of me”, with the rapper Flexx’ words. And Systema, is literarily a system within a larger system. I don’t think it’s a coincidence that young people dressed in military uniforms and wake up a fierce Russian martial art right on the streets of Gottsunda. They are children of their time, their system. The kids themselves wouldn’t like me saying this, but of course you think about the violence on the streets they grew up in. 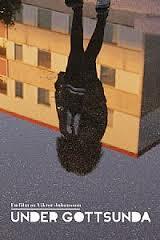 In terms of Swedish TV and film, in the UK only we seem to only receive a steady diet of noirish crime thrillers like ‘Wallender’, ‘The Bridge’ and ‘Crimes of Passion’, and before those Stieg Larsson adaptations; is there anything from Sweden that we should be looking into? We have this beautiful out door natural light that has shaped amazing films like “Burrowing”, about villa neighbors who escape their mundane indoor lives, and take to the wild. Bathing their babies in the lakes. It seems the light and the nature draws you into making Malickean movies. It was very nice when for example a movie like last years “Something must break” goes out in the terrain, the secret wilderness behind the city. Where the suburbs and housing projects end and wilderness takes over. It has been said about ‘Under Gottsunda’ that it looks lush and organic, it’s set in the green areas, something we don’t visualize with suburbs, in film and hip hop songs it’s all grey concrete. And of course that’s a protest, no one want’s to live like that. But it was a striking contrast to make a Terrence Malick movie where the urban wild roses grew, where the blueberries cracked the asphalt. To finish I was wondering if you could you tell me more about your upcoming projects? My next feature is called ‘Flogsta heaven’. It was an urgent second film that I shot last summer, urgent because I’v now moved from Uppsala, where both Flogsta and Gottsunda is located. It doesn’t add up to the magical format of a trilogy. What do you call two films, a diptych maybe. ‘Flogsta heaven’ is a film about student drop out who give up all things education, and instead they return to being savages, walking backwards, they spend three years to perform a perfect moonwalk instead of becoming a bright future for this country. The motto is daft punk instead of being so accomplished. 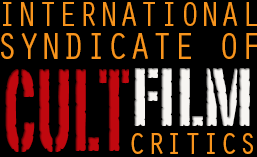 That is what I wish for the films of Sweden, dafter and punkier.